Cinema, opened 15 August 1930 as "Capitol Theatre". Also used for live stage productions. 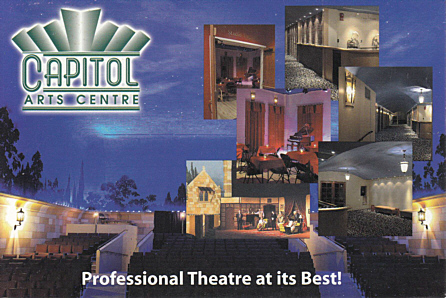 Front Text: "Capitol Arts Centre", "Professional Theatre at its Best!" Reverse Text: "Capitol Arts Centre, 20 Queen Street, Port Hope, ON"